A judge in Honolulu, Hawaii is deciding a case that considers the Large Hedron Collider, a complex science project way over this lady's head. 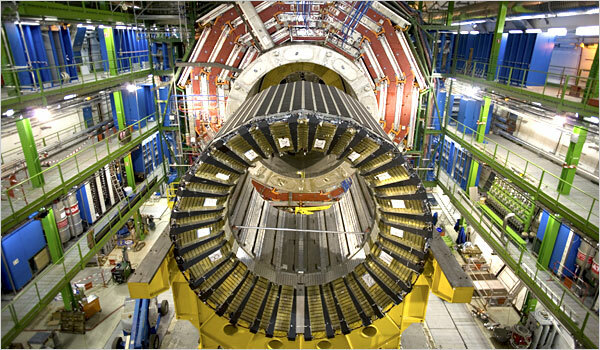 Apparently, the machine pictured above would allow international physicists in Geneva to study the conditions after the Big Bang through colliding protons. According to the article in the Times, there is a very small chance (cough) that this experiment could create a Black Hole that would swallow the Earth and the Universe. That would be very rude!